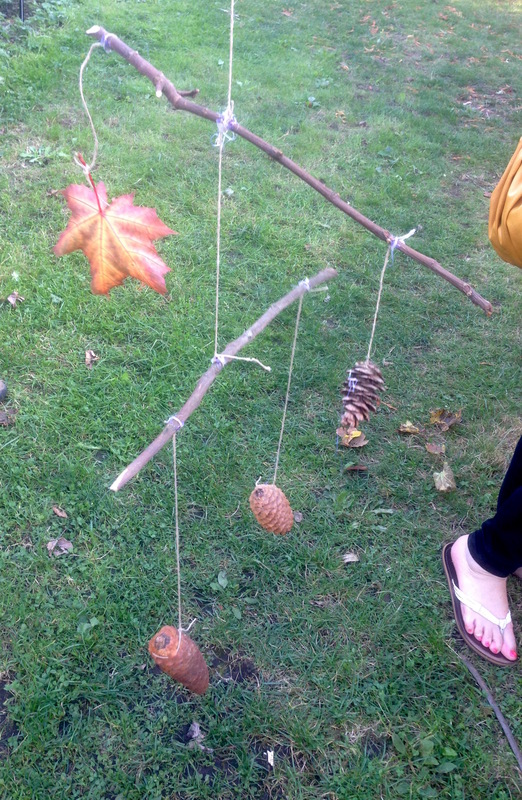 After understanding balance, make a mobile. Show students ideas of mobiles. 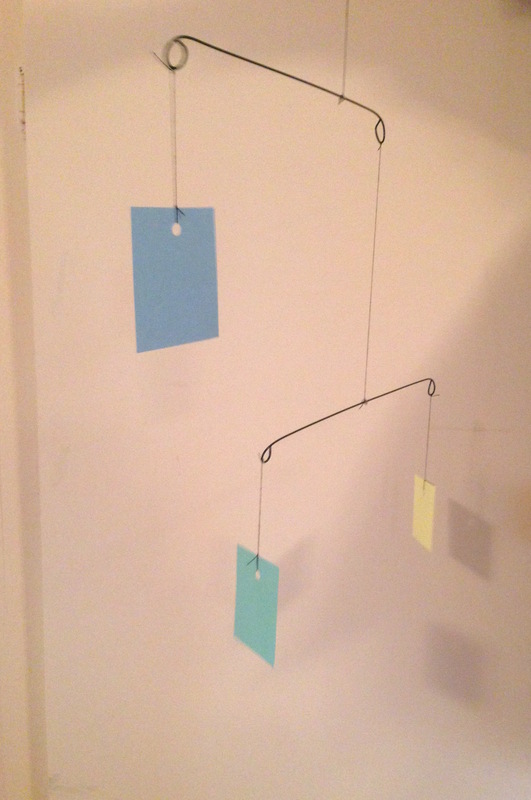 Ask them to draw their mobile, probably best with just two sticks for time, and more interesting if one stick hangs from another so the balance point is not in the centre (see first photo). For materials, thicker twines (e.g. hemp) and heavier objects (e.g. 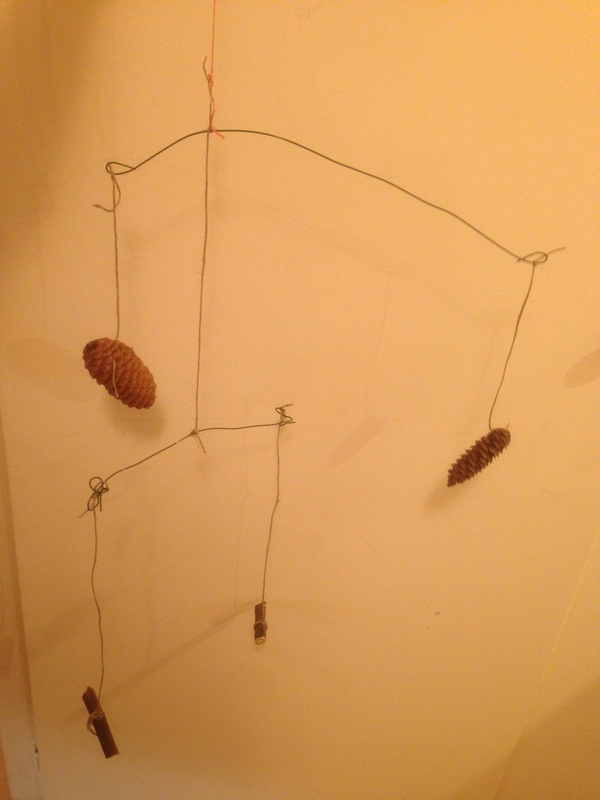 pine cones) allow students to do more of the tying themselves. 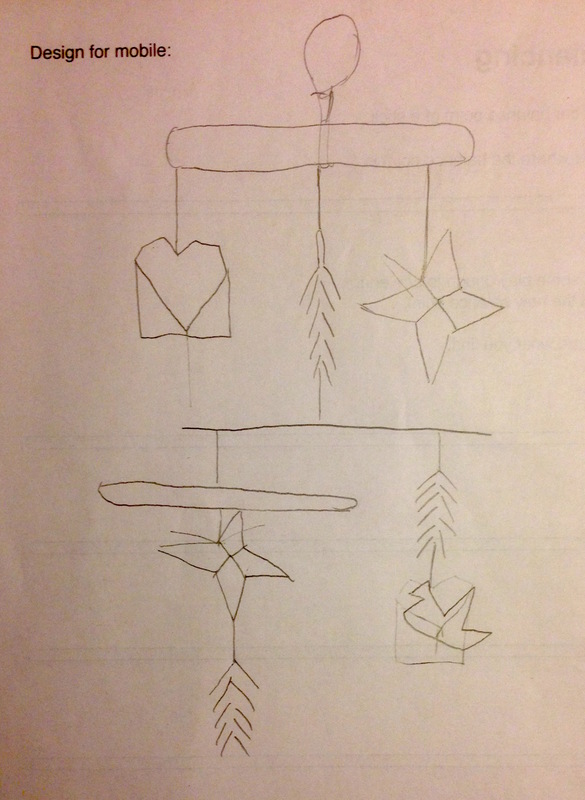 For hanging origami, embroidery thread can be stapled to the paper. When they start to build it, students should work up from the bottom of the mobile. First hang the materials to each end of the bottom stick, then hot glue in place. Then attach the thread and move it sideways along the stick until this bottom stick is balanced (ask students to predict where the balance point will be if they have done activities on balance points and relative masses already). Then hot glue in place (with as little hot glue as possible so the balance is not upset). Then attach the top of this thread to one side of the next stick up (or more centrally if the students prefer a more symmetrical mobile). Add (an)other object(s) to the end(s) of the stick. Tye the hanging thread and move it until the balance point is found, before hot-gluing in place.